You are currently browsing the category archive for the ‘Favourite Foods’ category. I opened and closed this week with a bento for lunch: first a Yummy Meatless Mondays Bento (#152), and then a healthy Veggie Bento on Friday (#153). Showing you the last one first! My Friday bento came along in a box that I don’t often use — because it’s technically not mine. ;) Click on the pic to follow the link to an overview shot on Flickr. We bought this Hanaougi ‘Flower Fans’ bento for Mr Gnoe when I only owned one other box (can you believe there ever was such a time? ): my first usagi bento. Both are two-tiered, rectangular and dark blue. 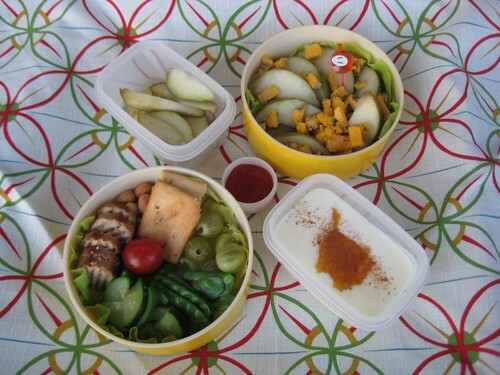 The idea was to use our similar bentos for picnics. :) But it has been gathering dust on the shelf so this Friday I decided to put it to good use. Half a ‘space bar’ (vegan sausage) and tomato ketchup to dip, rye bread with tofutti cream ‘cheese’, cucumber fans, radish flowers and green beans with African Peper spice mix on a bed of lettuce. Red beet salad with balsamic & raspberry vinegar, green grapes, cherry tomatoes (homegrown on the balcony), basil and fennel with peas. Organic apple & elderberry juice. Although Friday bento was good, it couldn’t beat Monday bento which contained one of my favourite foods: kisir, a traditional Turkish bulghur salad. The one from Ana’s Kuzin is best but I’m hoping to find a recipe that comes close. If you have one, please let me know?! 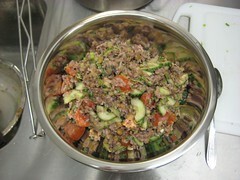 Kisir, veggies (cucumber, radishes, lettuce, steamed green beans, cherry tomatoes, flat leaf parsley) and dressing. Tiny leftovers of antep ezmesi (hot mix of tomato, chili peppers and garlic) & börülce (spicy bean-lime tomato dish), lots of seedless grapes, rye bread with vegan ‘cream cheese’, almond and dried apricot. And an apple on the side (not shown). If you can help me to good recipes for kisir, antep ezmesi, and/or börülce, I would really, REALLY appreciate it very much! 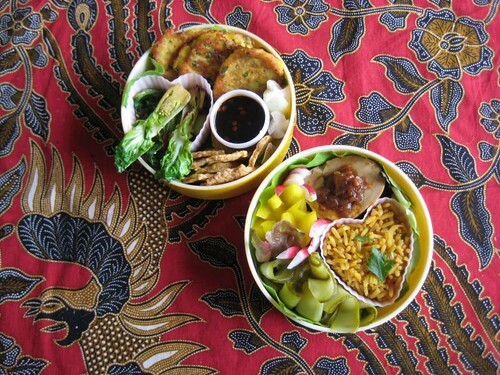 Find more bentos at Shannon’s What’s for Lunch Wednesday. Let’s Get Naked with Jamie Oliver! 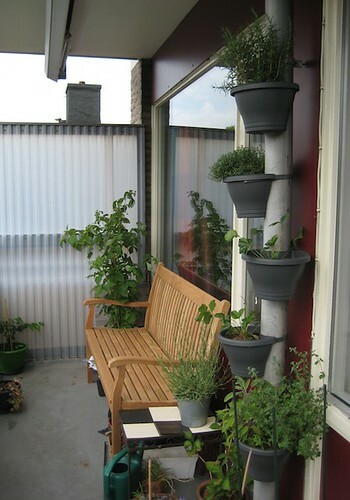 On the drainpipe are hanging baskets with oregano, sage, strawberries, thyme and rosemary. On the little tiled table you see lavender (not sure it’s an edible variety though, when it gets awfully quiet here you’ll know it wasn’t ;) and in the back are a 3-coloured raspberry plant and blackberries. And that’s not even the end of it. Outside of the picture are cherry tomato plants, red hot & sweet chili peppers and a yellow bell pepper. 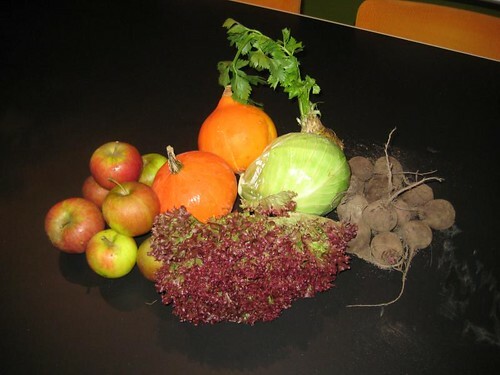 The fruits are an experiment but we have successfully grown vegetables on our balcony before. 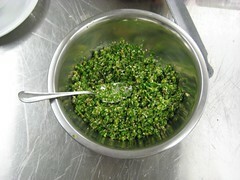 We also have some additional herb plants within reach in the kitchen: parsley, basil and cilantro. But these usually don’t survive for very long. Thanks to Carol of There’s Always Thyme to Cook who pointed me in the direction of Jamie Oliver’s Let’s Get Naked Cooking Club in her contribution to Weekend Cooking. Now I can’t join the club today because I didn’t cook up a recipe of Jamie’s, but it inspired me to post about our own little herb garden anyway. 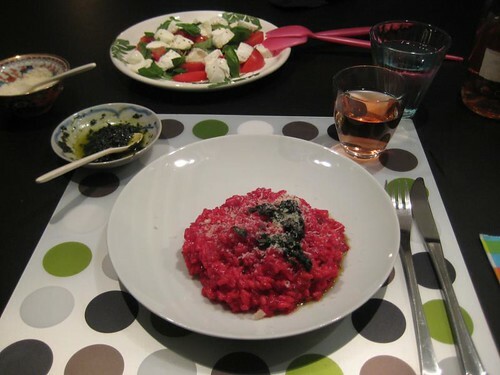 It seems appropriate to conclude by recommending a recipe by Andy McDonald, the ‘vegetarian Jamie’, that’s an all-time favourite at our place: Beetroot risotto with herb oil (in Dutch). We usually substitute some of the stock for wine and since turning vegan I just leave out the Parmesan cheese or throw in a little soy cream and nutritional yeast. 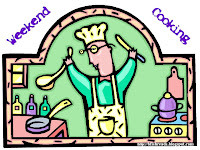 I’m curious what Jamie’ll be cooking up tomorrow! We’re already two days into November and I haven’t even posted the last veggies of October yet. 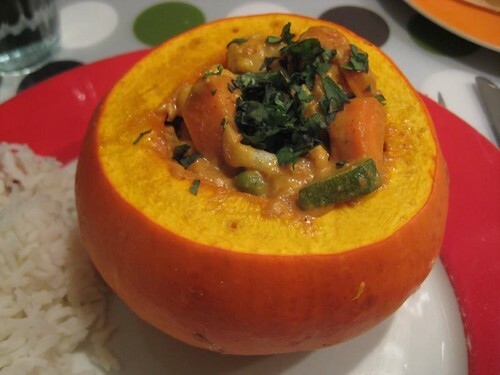 So let me present to you our wholesome winter food of this week. Today I’ll be eating out with wlfr (a.k.a. @variomatic), who gets a small jar of the home-made sambal bawang. I hope he likes it! Mr Gnoe (a.k.a. 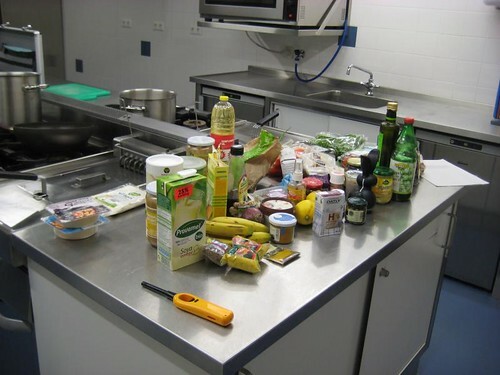 @no1song) will have a dinner of leftovers or whatever else takes his fancy. Although we mainly follow the original recipe, we always swap a little of the vegetable broth for wine (red or white) and we normally skip the part where we’re supposed to make green herb oil from scratch: we just throw in some herbs and/or pick one of our bottles of infused oils. But since we have a lot of fresh herbs at the moment (basil, parsley, cilantro, dill, celery), it seemed silly not to use them this time around. I only needed to buy a cauliflower to make this smooth curry recipe that seemed perfect for the two small pumpkins from our CSA batch. I had some coconut milk waiting to be used up and a piece of ageing zucchini; added carrots, frozen peas and a potato. Instead of roasting the squash in the oven, I nuked it in 1/3 of the time at 850 Watt. It was YUM! Clockwise, starting in the upper right corner: lying on a bed of lettuce is the classic combination of pear and blue cheese, in this case Blacksticks Blue; a smooth and tasty handmade cheese from Lancashire. Don’t let the colour fool you! It isn’t cheddar but a soft cheese getting its orange hue (like cheddar) from adding annatto, a pigment derived from pulp of achiote fruit. Lower right: yoghurt with apricot sauce and a pinch of cinnamon. Lower left tier: veggie ‘Bratwürst’ (bought on Schiermonnikoog), cashew nuts with rosemary & garlic, Italian scrocchi crackers, blanched snow peas and (woven! ;) zucchini, gooseberries and a cherry tomato from our windowsill plant (again on a bed of lettuce). Upper left: the rest of the pear wedges in lemon juice. Middle: ketchup for my vegetarian sausage. Put apricots, water, lemon juice (and sugar, if desired) in a bowl and cover. Microwave for about 3-4 minutes on 700 Watt. Keep an eye on the fruit so it won’t burn! 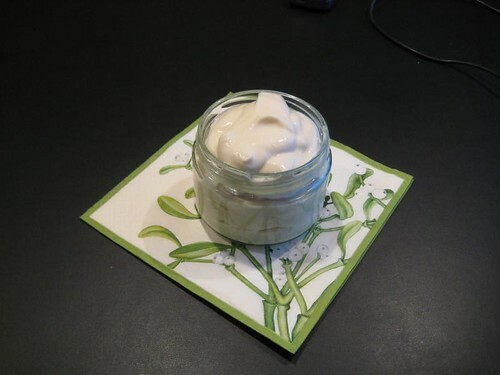 Use food processor to make a smooth sauce. 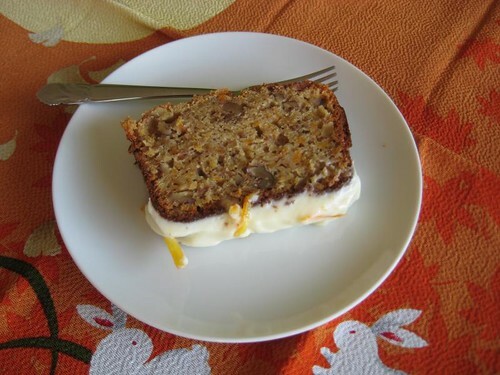 I never use any sugar because the sweetness of the dried fruit is quite enough for my taste! And of course you can add more water for a silkier sauce. And here’s a confession… I’ve got two types of dried apricots in my kitchen cupboard: organic ones that haven’t been sulphuretted, and plain apricots from the ordinary supermarket. For this sauce I use the latter because I like the bright orange colour (instead of an unappetizing brown). So much for principles, eh? Organic & local: zucchini, snow peas, gooseberries, lettuce. Organic: veggie sausage, yoghurt, pears. Don’t you love the (organic) blue maize tortilla chips?! 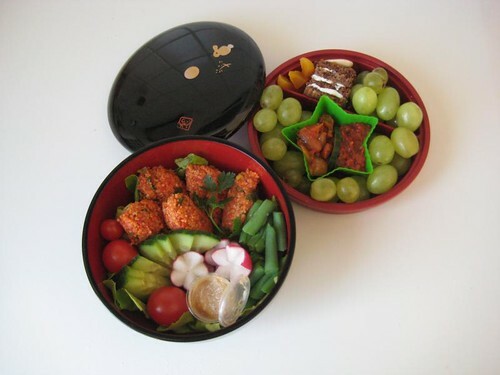 This must be a very healthy bento because I even exceeded the five colour rule ;) How many tints do you count? The tier on the left contains corn cob, a slice of zucchini, parsley, homemade salsa picante (recipe below), a piece of carrot and something I call an avocado gringo, because it’s neither a quesadilla nor a burrito since it hasn’t been baked or grilled afterwards like the first, nor wrapped liked the latter. It consists of four layers of multigrain wheat tortilla with guacamole, salsa, lettuce and cheese in between. As you can see I brought some red grapefruit in another side container. 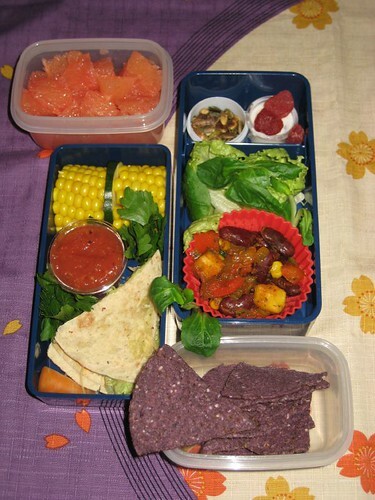 The bento box tier on the right contains pepitas (popped pumpkin seeds), sour cream for the bean dish, dried strawberries as a sweet, a mix of corn salad and plain lettuce and frijoles (kidney beans) with red bell pepper, corn, onion and zucchini. CSA (and organic): lettuce, corn salad, corn, parsley, carrot. Organic: wheat tortilla’s, tortilla corn chips, onion. Making salsa picante is really easy! Put all ingredients in a food processor and shred until smooth — or almost smooth. Et voilá! If you don’t have a blender just cut the ingredients with a knife. This recipe is so flexible! You can use leftover tomatoes that have gotten overripe, or you could replace them by canned tomatoes, pureed etc. 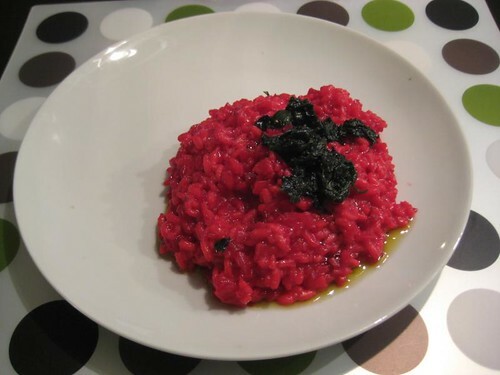 Instead of ketchup you can also take some tomato paste and add a bit of sugar or honey for sweetness. There’s almost no excuse not to make this salsa! Last but not least, here’s Gnoe’s tip to undress tomatoes ;) The easiest way to peel tomatoes is to immerse them in boiling water for 1 minute after cross-cutting the skin. Drain, and immerse in cold water for about 5 seconds (or hold under the cold tab). The skin comes right off!